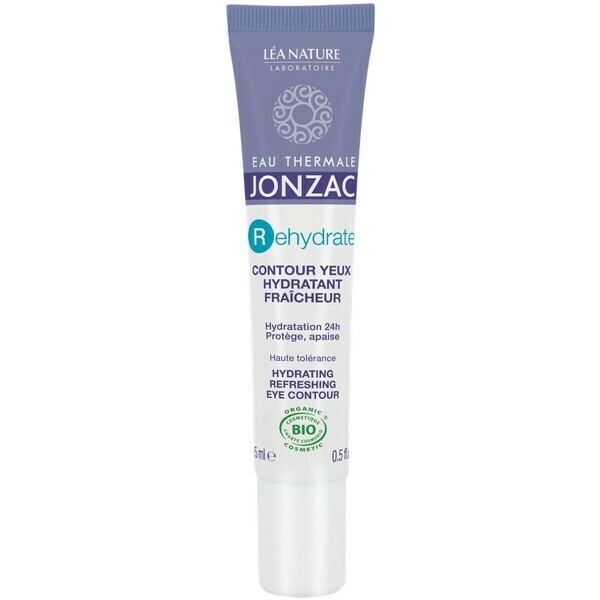 The Eau Theramle Jonzac Bio eye contour treatment hydrates the skin, bringing life & hydration to the eyes. 15ml. - Calms and reduces those dehydration lines around the eyes. The formula for eye care soothes and rehydrates rehydrates the delicate area around the eyes to regain smooth and refreshed skin. The Eau Thermale Jonzac offers a new generation of skin care products tailored to the different skins and/or skin problems and allergies, while providing maximum safety so that users can enjoy Eau Thermale Jonzac products everyday. Eau Thermale Jonzac offers a range of biological treatments that, rehydrates, regenerates, repairs & enhances. The future of dermo-cosmetics lies in a more natural approach to skin physiology, thats why at the Eau Thermale Jonzac laboratory Eau Thermale Jonzac only produces and develops the highest quality, naturally sourced products. The Thermal water is natural and the ingredients are certified organic.